Lately I’ve seen a couple of resources for embroiderers who wish to make samplers or other stitchings to honor friends or family who are differently-abled. I post them here for general reference. First is this alphabet from type designer Kosuke Takahashi. It takes a linear construction alphabet, and overlays Braille dots on it, to form a construction that can be read by those familiar with both type forms. A full description, and downloadable files for the font can be found here. Note that it is free for personal use. If you want to compose an item or design for sale, you would need to contact the designer to license the font. 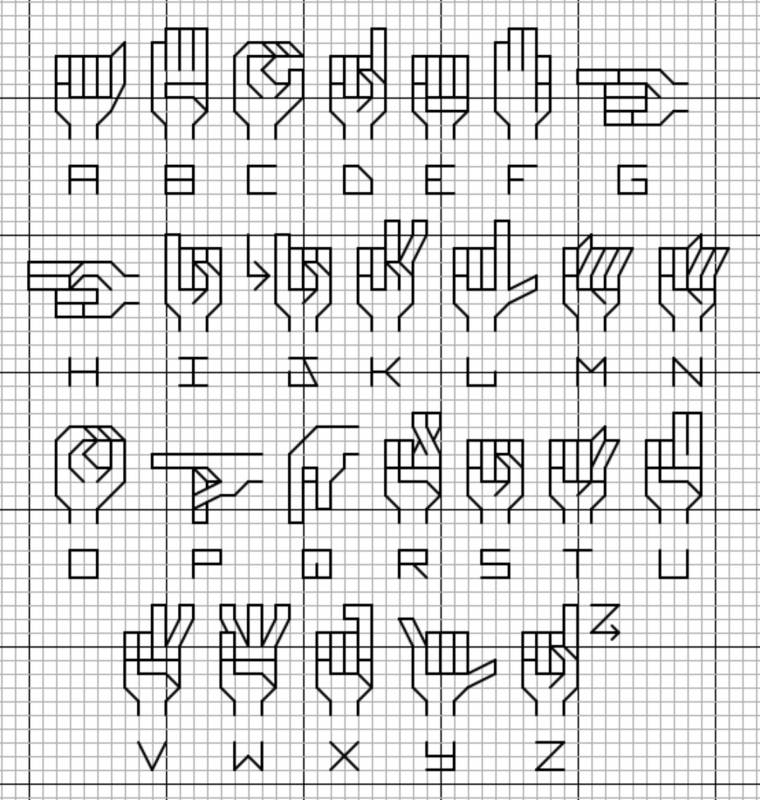 Second is a linear stitch interpretation of the sign language alphabet. The source is Deviant Art board poster and cross stitch designer lpanne, and is under her copyright. Again, if you create anything from this for sale, please take the time to contact the artist and ask for permission. Although this last item presents text in a non-standard way, for most of us it makes it less rather than more comprehensible. But it’s a nifty idea for the nerdy-minded among us. 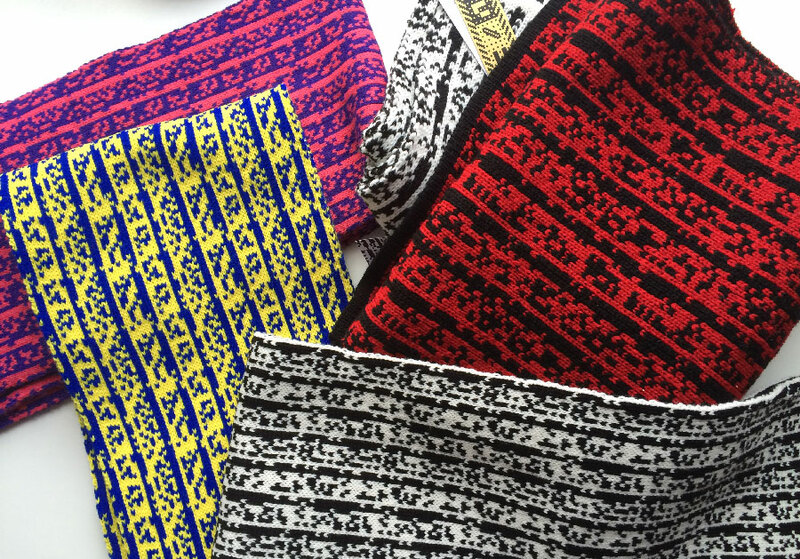 Artst Sam Meech knits up scarves using ASCII coding, represented by two colors (one for 1 and the other for 0). He’s able to include entire quotations and text passages in his Binary Scarves. He sells them at his site below. You can read more about Sam’s scarves here.